curve, producing more torque than the 4G63 at all engine speeds, helped by the engine's square bore and stroke design (both measure 86.0 mm). Redline starts at 7,000 rpm, with a fuel cutout at 7,600 rpm to protect the engine. A semi-closed deck structure, an integrated ladder frame and four-bolt main bearing caps contribute to engine strength and durability. 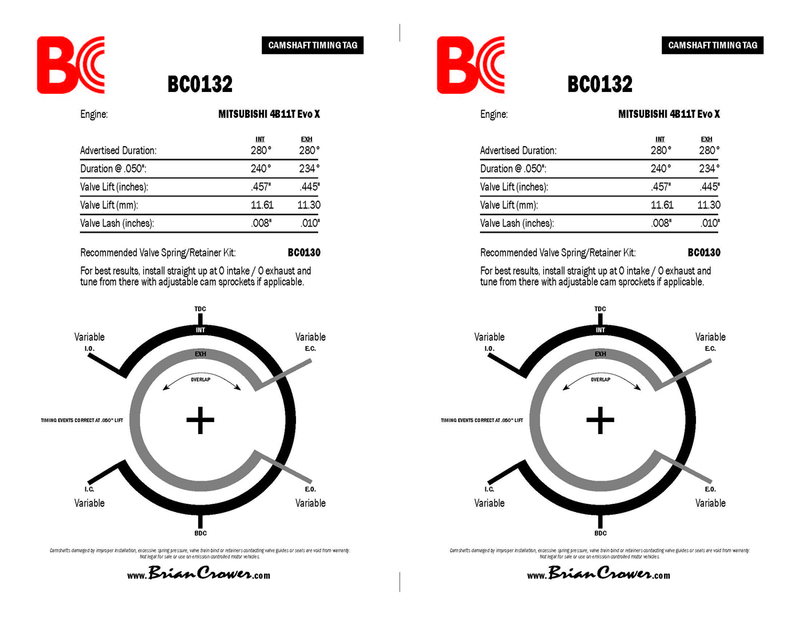 Unlike the 4G63, the 4B11T does not use a balancer shaft. Aluminium is used for the timing chain case and cylinder head cover. The engine features an electronically controlled throttle, an isometric short port aluminum intake manifold and the stainless steel exhaust manifold is positioned at the rear of the engine. The use of a direct-acting valvetrain (buckets) eliminates the need of the roller rocker arm configuration previously used in the 4G63 and its valve stem seals are integrated with the spring seats. 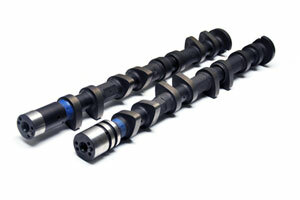 Note: Due to the high lift of these camshafts, you must check retainer to valve guide clearence.